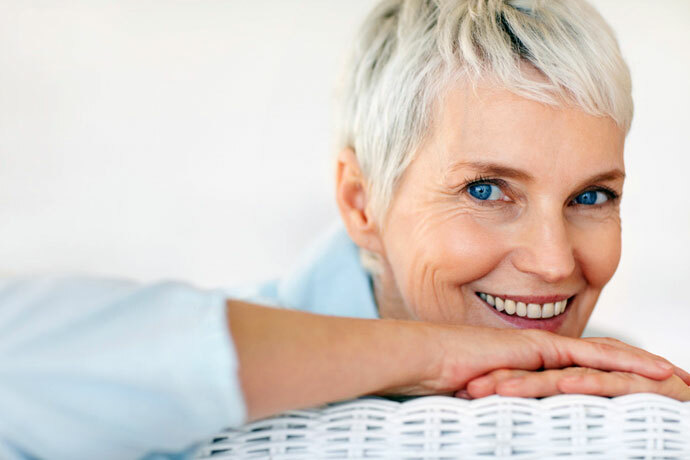 Say goodbye to denture adhesives by getting a permanent denture secured to dental implants. 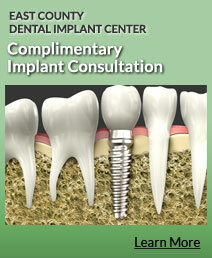 Dr. Henriod and Dr. Meserkhani, our implant specialists, can stabilize your dentures with implants. This way, your new teeth won’t slip and you’ll get back your chewing capabilities. They can anchor dentures with as little as two implants. The more implants they use, the more stable your new denture and the more natural it will appear. Dr. Meserkhani and Dr. Henriod both have advanced training in placing dental implants. Dr. Henriod is board-certified in periodontics and respected by his peers as one of the top periodontists in the area. He teaches periodontists and other dentists about technology in oral implant surgery, as well as in bone grafting techniques and minimally invasive gum grafting. Dr. Meserkhani is board-certified by the American Board of Oral Implantology, which is the most important and difficult certification in oral implantology. This certification has been awarded to less than 500 dentists in the United States since 1969. Bone loss can eventually cause problems for denture wearers. It can change the appearance of your face, giving it a ‘sunken’ look. But dentures anchored in place by dental implants are much more stable than regular dentures and help alleviate this problem. Additionally, with implant stabilization you’ll discover it’s easier to talk. Plus you won’t have to fret about your denture falling out of your mouth as you chew your food! A denture supported with dental implants provides a high level of stability. 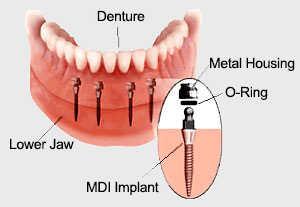 Implant-supported dentures are usually made for the lower jaw. However, you can get implant-supported dentures in your top jaw, too. The denture fits over a ball or bar and socket. It’s then securely snapped into place by the attachments on your implants. With six to eight implants in a jaw, you won’t need ‘pink plastic sides’ on your dentures since your dentures will emerge from your gum just like your natural teeth. In some cases mini implants can be used to stabilize dentures. We offer mini implants as an alternative to full implants. Mini implants are used to stabilize dentures to prevent slippage and for optimum comfort. Unlike conventional implants, mini implants do not require months of healing so they can immediately be fitted to dentures. Another advantage is that often mini implants can be placed where conventional implants cannot because of insufficient bone. 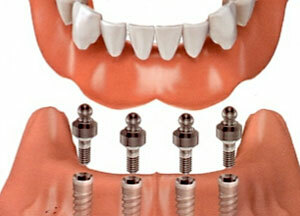 Mini implants also assist in preventing bone loss in your jaw, just like conventional implants. Drs. Henriod and Meserkhani both have experience placing mini implants and in designing premium-quality dentures. They can place your implants and fit or retrofit your dentures in just one visit with little pain or discomfort. This means that existing dentures and retrofitted dentures can be used immediately. A fixed implant-supported denture gives you extra support. To give you a lot of extra chewing power, your new dentures can also be screwed into the implants to secure them. You won’t ever have to take these dentures out, although your dentist can remove them if needed. 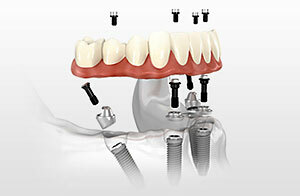 Fixed implant-supported dentures are the ultimate in denture stabilization. "“They have latest equipment and procedures – now also full service with implants and periodontal care. The work is beautiful. They are all specialists and know what they are doing."